The idea that what is old is also out is being turned on its head by The Retro online store’s modern subscription model. Especially when it comes to good music. Try to browse your memory, or perhaps the internet, depending on which generation you belong to, and let yourself get drawn into the musical past. Add a colourful atmosphere to rhythm and melody. Enhance them, for example, with a black-and-white combination, if your first stop was Louis Armostrong, choose faded yellow at the Rolling Stones, or sparkles to match David Bowie. No matter what your musical taste may be, you must admit that the past can sound pretty good in the present. It gets even better if you also like good company, a comfy sofa, perhaps a glass of wine, and a record player as the icing on the cake. A lot of music media has already found its way to the museum, from the CD and the cassette to the vinyl record. But lately, the latter has been making its escape. Peter and Lio from Glasgow are among those who do not think the old is out, reviving the good old days with their modern model of the subscription economy. 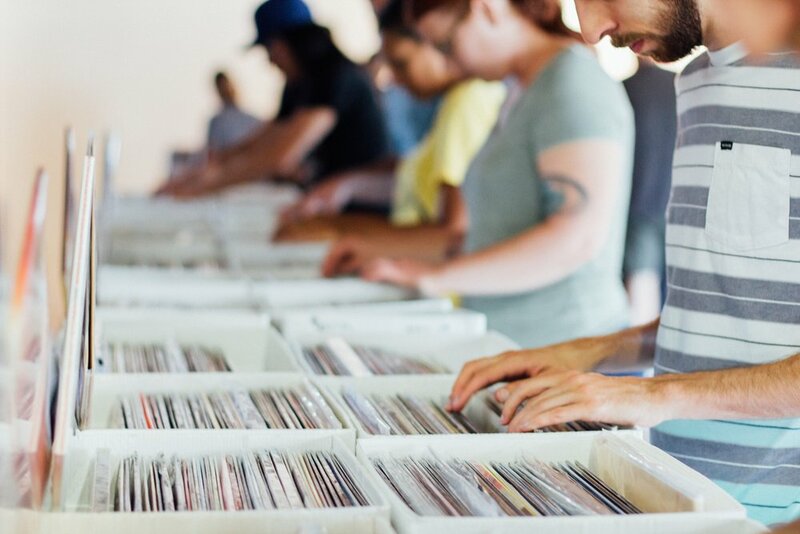 Upon subscribing to the Vinyl Club, you first choose your favourite music genre, and then receive three to five records chosen by The Retro each month. The Retro is their project which is giving new life to cassettes, comic books, and old computer games, in addition to vinyl records. But the records are the founders’ true passion, which they want to share with others. Like you, for example. They started the online Vinyl Club and invited everyone who wants to get to know the principles of life per month through the rhythm of music, to subscribe and take time to listen to good tunes. As a subscriber you can enjoy three to five new vinyl records each month. When subscribing, you let them know your favourite music genre, after which the employees of The Retro select the records at their discretion, convinced that you will be happy with the music. When subscribing to their service, you also have to choose your plan and the frequency of delivery. The smallest box pack is 29.95 pounds and it arrives at your address on the 16th of each month. Those living in Great Britain can enjoy free shipping, but deliveries to Slovenia will cost extra. It has happened that subscribers received a record they already had in their collection. Others perhaps did not like the selection, so they wanted to return and replace the records. After giving it some thought, Peter and Lio, along with their colleagues, decided not to exchange records, but have created a Facebook group where users can trade, and the currency is not money, but music. If you introduce a new member to The Retro, the company will reward you, and them, as they are firm believers in the power of word-of-mouth advertising. If you are a subscriber, you know that you also receive loyalty points with each box, which can be used as credit in their online store. If a new subscriber enters the club at your recommendation, you will also get 10 pounds. Because they believe that good reputation is built on word-of-mouth, and they, like many startups, don’t yet have a large marketing department, they will give your friend six pounds to subscribe. And there’s more: The Retro will include a small treat in the form of a snack in your surprise box – a retro one, but never past its expiry date.